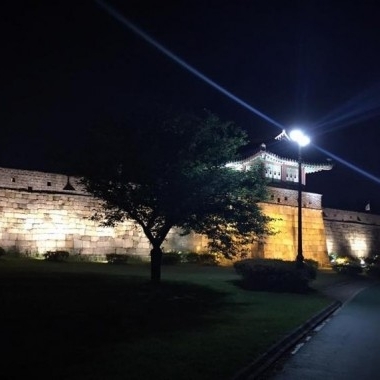 Have a special and romantic night by strolling down the fortress site. You begin the night tour by being picked up at your hotel around 18:00. 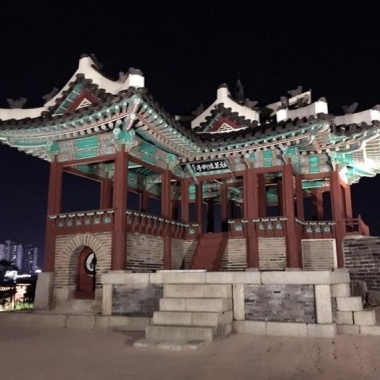 The tour guide will take you to Suwon city, about an hour away from Seoul. 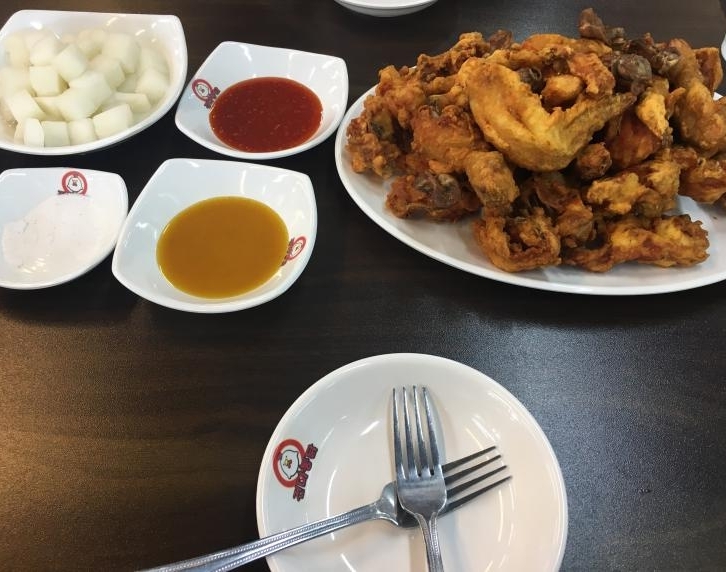 You will have dinner at Suwon Chicken Alley at your own expense. 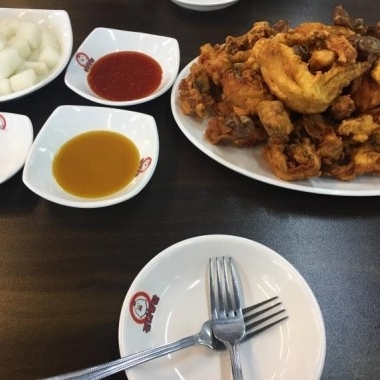 There, you can enjoy and experience the fried-chicken-and-beer combo culture. 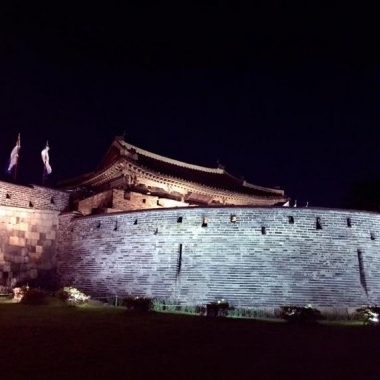 Then, you will be escorted to Suwon Hwaseong Fortress, which was designated as UNESCO World Heritage Site in 1997. 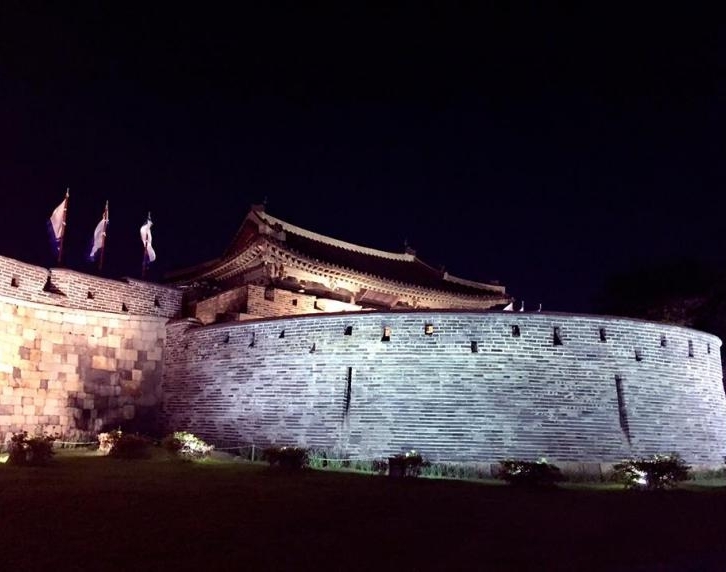 This 5.7km fortress was built in the late 18th century and consists of the four gates face each of the cardinal directions—Janganmun (north), Paldalmun (south), Changnyongmun (east), and Hwaseomun (west)—and the seven-arch style Sumun gates straddle the point where the nearby stream reaches the palace. Above the Sumun gates is a pavilion called Hwahongmun. 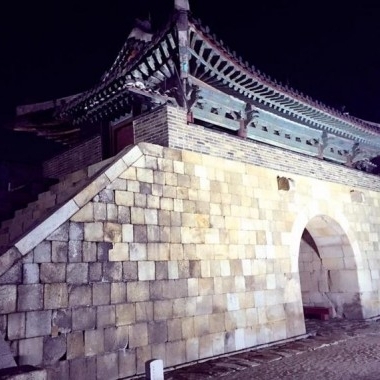 Among these gates, you will stroll across Janganmun (north) and Hwaseomun (west) and make your way to Yeonmudae Post, which was used as training ground for troops over two centuries, where they learned fighting skills involving swords, spears and arrows. Experience the serene and peaceful atmosphere by walking across the fortress. Take in the night breeze and the magical lights from the fortress. The night scenery is beautiful, fantastic and uniquely different from the day's view. This will be ideal for a romantic date as well as for a traveler who loves talking a walk at nighttime. 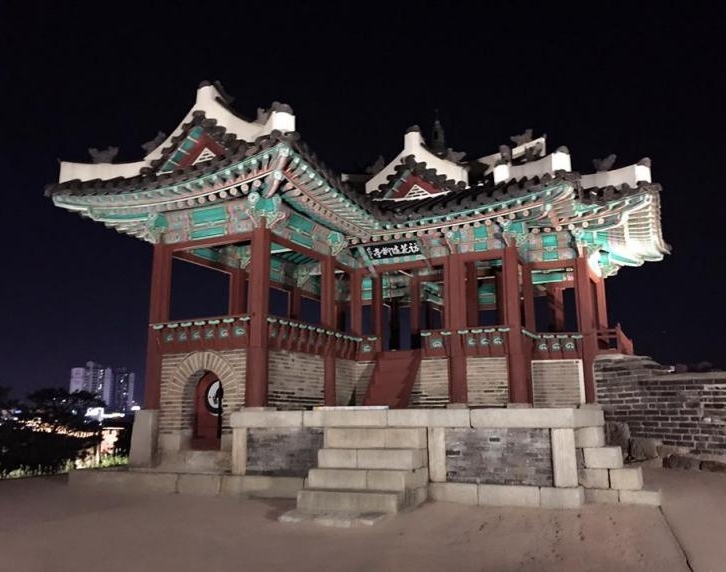 Leaving Behind this historic site, you will return to your vehicle and head up to Seoul. Your journey ends as you are dropped off at Myeongdong Lotte Hotel in Seoul. The Suwon city stay in Gyeonggi-do Suwon City. There are great amount people come visit the fortress everyday. 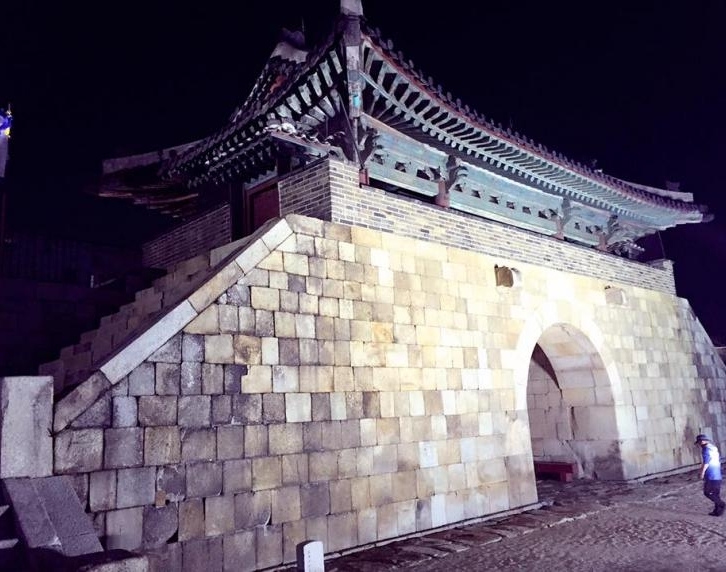 Suwon Hwaseong Fortress is very big and wide tourists could take the Hwaseong trolly at the day time. 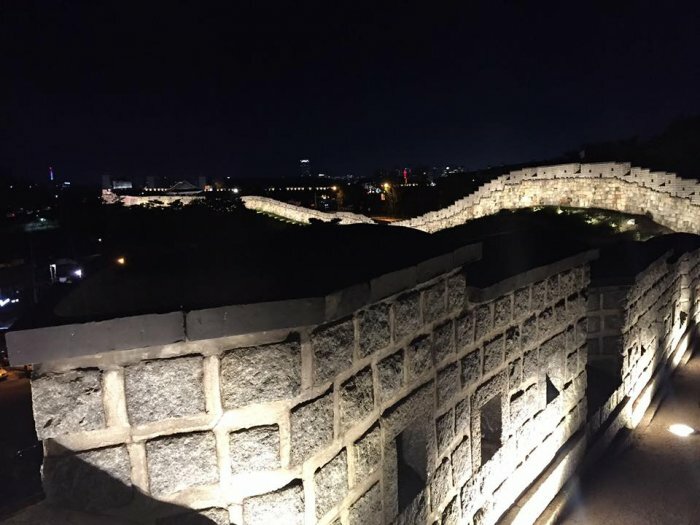 Since of this is the night tour, tourists need to walk by foot during the course.The fortress was designated as Historical Monument No. 3 in January 1963, and in December 1997, it was designated a UNESCO World Cultural Heritage Site. 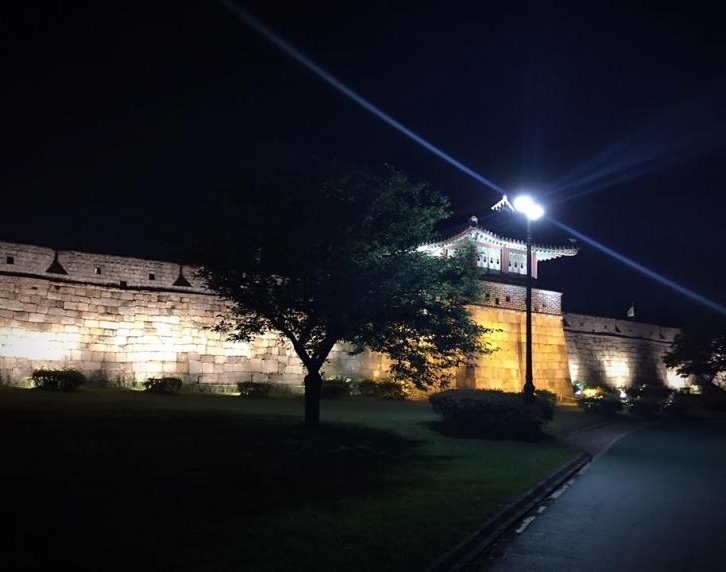 Replacing the sun, spotlights lit the dark fortress, walking to visit the fortress overlook the night view of Suwon City.